CT shows several collections of fluid in the peritoneal cavity - in the pelvis, paracolic gutters. Some collections are somewhat circuscribed, thin-walled and contain gas inclusions. Several gas bubbles are trapped in the mesentery. 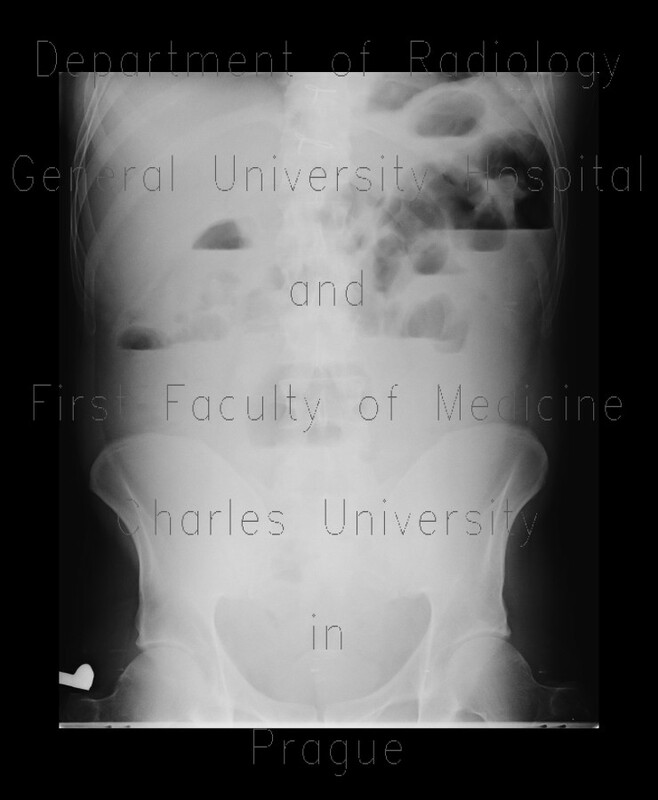 The presence of air-fluid levels within the small bowel loops indicates ileus. Mild thickening of the wall of ileum is an uspecific finding in this setting. The patient suffered from Crohn's disease and laparotomy showed rupture of ileum.